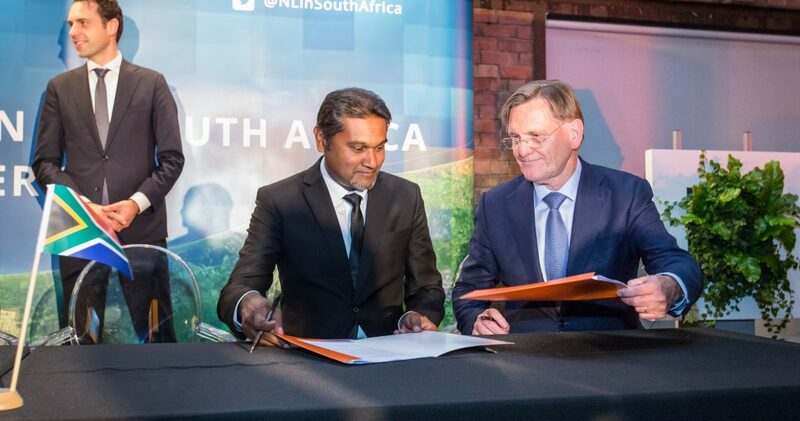 The South African Water Research Commission CEO, Dhesigen Naidoo, and his counterpart at KWR CEO Wim van Vierssen, today signed the Watershare® partnership agreement during the official signing ceremony of the Dutch Trade Mission in Johannesburg, South Africa. 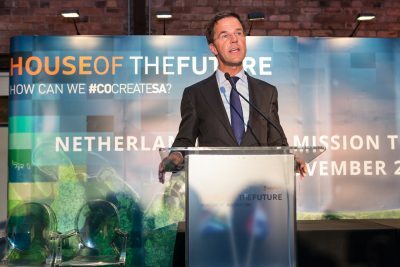 The signing took place in the presence of the South African Minister of Water Affairs and Sanitation Nomvula Mokonyane and the Dutch Prime Minister, Mark Rutte. The Watershare® community welcomes the South African Water Research Commission (WRC) as Gold member. In fact, the WRC is the fifteenth official member of Watershare®, a family of trusted institutes that share their knowledge and experience in the global water sector. After collaborating for several years with KWR, the WRC decided to join Watershare® with the aim of creating new opportunities to generate knowledge and promote water research in South Africa, applying different tools from the Watershare® platform. KWR and WRC partner for enhancing water research. In South African Water Research Commission (SA WRC) website, 18 November 2015. WRC and KWR of the Netherlands signs collaboration agreement to better serve water end-user, Press release SA WRC, 20 November 2015. Watershare welcomes South African Water research commission as 15th member. In website Dutchwatersector,18 November 2015. SA signs new water deal. In website KLK. SA partners up with Dutch water organisation. In website AGRI SA, 20 November 2015. SA inks water deal with Dutch group. In website IOL, 20 November 2015.